NOTE: This post was updated Tuesday, Oct. 24 with up-to-date donation amounts. 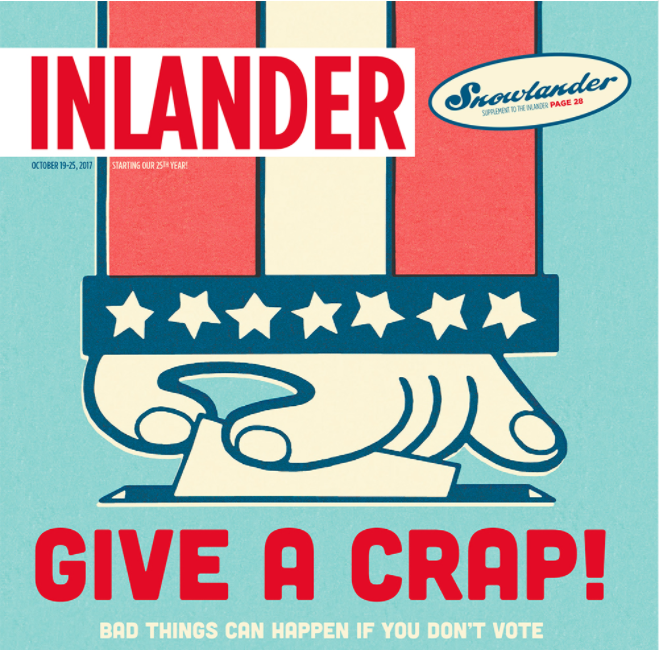 As ballots arrive in mailboxes this week, the Inlander is covering the decisions local voters will be asked to make. Among the issues Spokane voters will see on their ballot is Proposition 2, which asks whether the city should make it a civil infraction for anyone to bring uncovered coal train cars or rail cars of untreated crude oil through the city, subject to a $261 fine per rail car. Proponents say the measure is necessary to increase safety as an oil train derailment with explosion could devastate downtown. Opponents say the measure is illegal and unenforceable, and would not only be costly but could eliminate local railroad jobs. Both sides got to expand on their positions in our story this week, which you can find here. Safer Spokane’s committee was initially wrongly registered with the Public Disclosure Commission as “Proposition 2” instead of “Safer Spokane,” says Safer Spokane chairman Jim Lee. That has since been updated. Safer Spokane reported collecting a total of $6,269.68, of which about $5,200 has been spent. The largest single donations are $1,000 each from retirees Michael Bell (who donated a total of $2,150 to the campaign over several months) and Candace Schmidt (who donated a total of $1,300). The Committee to Protect Spokane’s Economy reports collecting $244,953.75 so far. Of that, it's reported spending about $26,300. Nearly all donations to the committee came from a handful of rail, coal and oil companies. The largest single donations to the committee came from Lighthouse Resources, Inc., which owns two coal mines in the Powder River Basin, and Millennium Bulk Terminals, which if built in Longview, Washington, would be the largest coal shipping terminal in North America. Lighthouse made two donations totaling $64,500. BNSF Railway also has donated $64,500. Cloud Peak Energy, also a Powder River Basin coal company and backer of another major coal terminal proposal in Western Washington, gave $50,000. Giving $25,000 a piece were Union Pacific railway and Tesoro, and Montana Rail Link gave $10,000. The only other donations came from two individuals, who gave a combined $150.